With its Morten Georgsen design, the Esmoriz Side Chair brings a distinct flair to a modern or traditional setting. The side chair offers a fabric over foam seat and back that blend fashion and function beautifully. It also includes brushed stainless steel legs that guarantee you'll be fully supported at all times. Choose a side chair that combines style and versatility like never before � the Esmoriz Side Chair. Fabric over foam seat and back blend comfort and style. Brushed stainless steel legs deliver outstanding support. Morten Georgsen design helps the side chair stand out. 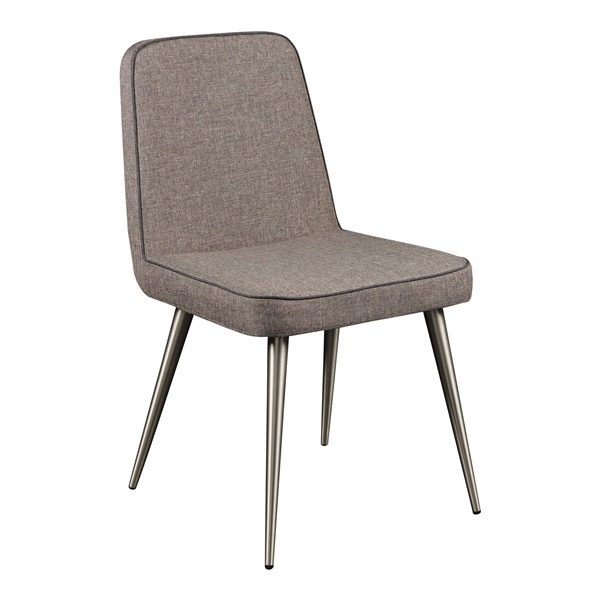 Side chair offers a superior addition in a contemporary or retro setting.